The General Motors factory at Petone near Wellington opened in 1926, and closed in 1984 when the company’s operations were consolidated at Trentham. 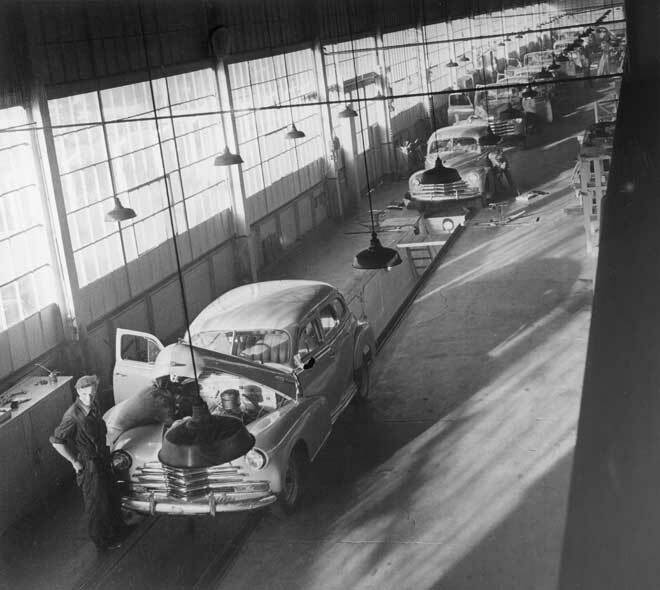 At first the factory produced Chevrolet, Pontiac and Buick cars, then added Oldsmobile, Vauxhall and Bedford trucks. In the 1950s it began producing Holdens. All these vehicles were imported as ‘knocked-down’ components, and assembled in New Zealand.